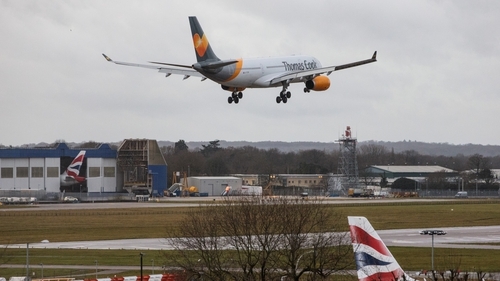 Culprits behind the drone chaos at Gatwick Airport had an insight into how the UK airport was reacting to the incident, its head of operations has said. The rogue operators could either see what was taking place on the runway or they were eavesdropping on radio or internet communications, said Chris Woodroofe, the airport's chief operating officer. A number of drone sightings last December forced Britain's second-busiest airport to shut down for 33 hours, disrupting 140,000 passengers' journeys. Speaking to the BBC's Panorama programme, Mr Woodroofe said the disruption caused by the drones was "terrible". Mr Woodroofe was the "gold commander" in charge of the airport's response to the incident on 19 and 21 December, which hit 1,000 flights. Both Gatwick and Heathrow airports are investing millions in their own systems to prevent future flight disruption.